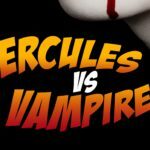 Hercules vs. Vampires is not your typical opera. It’s not your typical vampire flick, either. 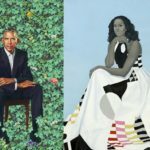 It belongs firmly in that particular category of “something different” – and, going by the amount of laughter at Saturday’s performance, is quite a lot of fun. The setup for this unusual piece of entertainment is deceptively simple: take a sword-and-sandal B movie (Mario Bava’s Hercules in the Underworld), toss out its original soundtrack, and perform a live opera written to accompany the on-screen action. 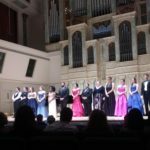 The new soundtrack/opera is by film composer Patrick Morganelli, the producing company is Nashville Opera, and the cast of singers is drawn from the company’s young artist program. 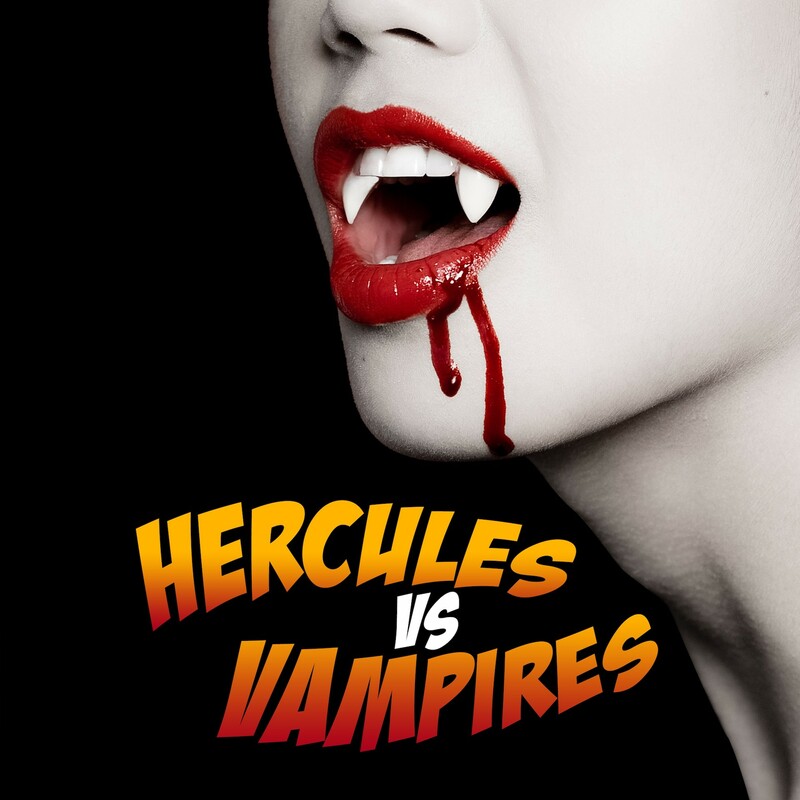 A promotional image for Hercules vs. Vampires. 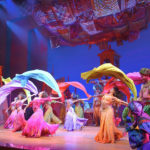 Reviews of operas usually say a lot about the sets, the costumes, and the arias. Not so here; this evening at the opera was more about the experience, from the invitation to come in costume (prize winner: a Medusa head, complete with the snake headpiece) and photo booth with props. The audience was encouraged to boo, hiss, clap, and otherwise make noise, rather like a Rocky Horror film screening minus the vulgarity and canonical shout-outs. By the time the film was a few minutes in (much of the opening was cut), the audience was chuckling heartily at some of the ridiculousness of it all. By fifteen minutes in, each time the camera fell on a giant foam boulder, the laughter anticipated its getting picked up and tossed like it weighed nothing. Morganelli’s music is typical film score fare: eclectic, pluralistic, and something that enhances what you see more than it calls attention to itself. No arias stand out, and you’d be hard-pressed to hum a tune after the show – but at the same time, that doesn’t matter. This show is simply fun to watch, and during Saturday’s performance it was clear that there was a collective zeitgeist and comfort at laughing at the B movie ridiculousness of it all. Speaking of vampires, the title is something of a misnomer. Hercules (voiced by Conor McDonald) really only battles one vampire, the brooding Lycos (voiced by Jeffrey Williams), to save his lady love Dianara (voiced by Melissa Shippen). The plot’s a bit of a mess – not the original film’s strongest point – but you’re really just along for the ride, not the exposition. To add to the confusion, many of the singers play multiple characters, of which Melissa Shippen (Dianara, a Hesperide City Woman, and a Peasant)’s clear and expressive voice was the most distinguished. The live chamber orchestra, playing music synced to an unrelenting film projection, had little room for expression; one wonders what conductor Kelly Corcoran might do with excerpts in a concert suite. As a nightly entertainment, though, Hercules vs. Vampires was definitely worth a try.